With funding from America Makes, Optomec and MachMotion worked together to develop a retrofit additive manufacturing system for machining centers. When a manufacturer begins to contemplate additive manufacturing, the first obstacle the company often confronts is the cost. Machines for making production metal parts through additive manufacturing are expensive. The second obstacle quickly follows, because it relates to the question of what a machine of this price can do. Along with being expensive, metal additive manufacturing machines typically are also constrained in the sizes of parts they can produce. Build volumes smaller than a 12-inch cube are common. Optomec and MachMotion together developed a retrofit additive manufacturing system for machining centers that is now being used and evaluated at TechSolve. In this photo, the machine is being used to additively grow a feature onto a shaft. 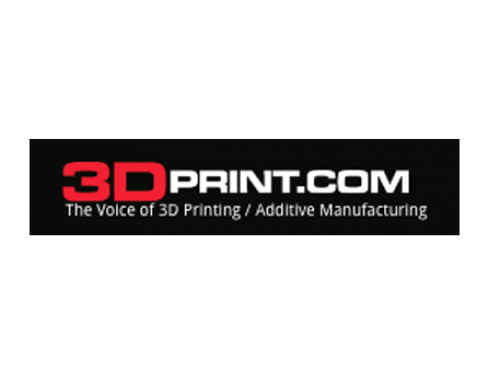 America Makes, the U.S. government institution founded to support the advance of additive manufacturing, recently funded a project aimed at reducing the cost of adoption for additive manufacturing. Optomec, the maker of additive manufacturing equipment in Albuquerque, New Mexico, used this funding to design an additive system that would run within a low-cost machining center. 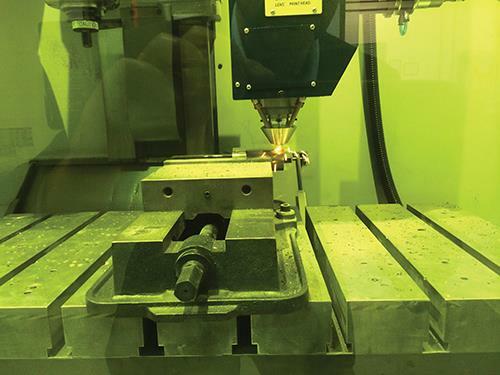 This retrofittable system not only addresses the first obstacle—that is, America Makes’ focus: the cost—but it also addresses the second obstacle, because this additive manufacturing system could be added to any machining center, including a large one.